The Michigan Sailing Team is on it's way to a strong conclusion of one of the best seasons in recent years with multiple teams going to the spring national championships this year. 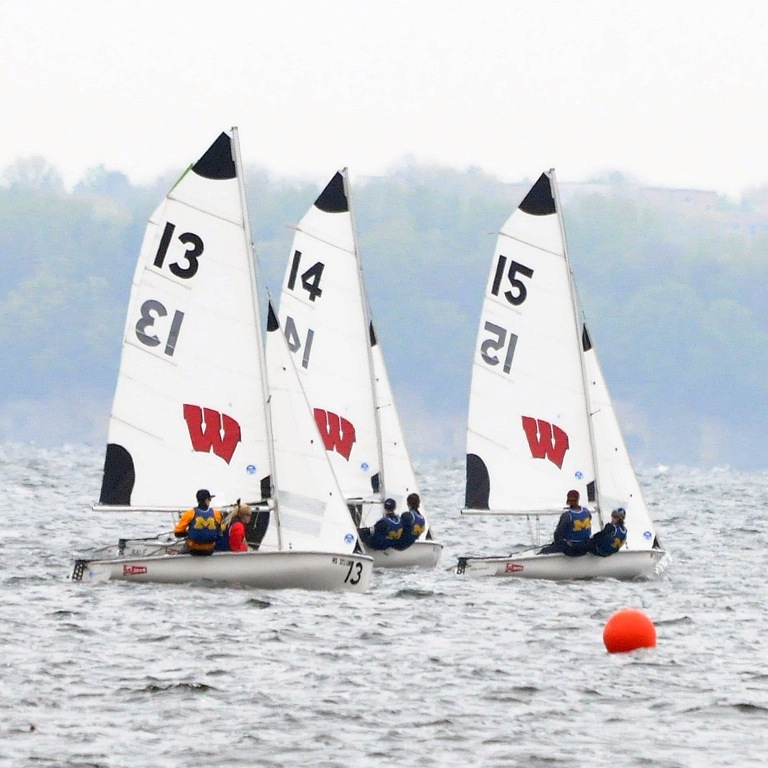 In the fall, members of the sailing team attended the ICSA/Laser Performance Singlehanded Nationals in Chicago, ICSA Match Race Nationals in San Francisco and the Kennedy Cup which represents the collegiate keelboat national championship in Annapolis. This spring, the team will be well represented at the 2012 ICSA Nationals hosted by Austin Yacht Club and the University of Texas from May 29-June 8 on Lake Travis. The road to nationals began back on April 14-15 when we hosted the MCSA Coed Dinghy Championship. After a fourth place finish in that event, the team will advance to the Eastern division of the ICSA Dinghy Semifinals at the U.S. Naval Academy this coming weekend, May 12-13. A finish in the top 9 at semifinals will earn a berth to the ICSA/Gill Dinghy National Championship in Austin, Texas from June 6-8. 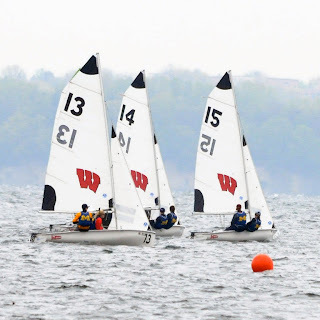 The team racing team qualified directly to the ICSA/APS Team Race National Championship after taking a second place finish while sailing at the MCSA qualifier hosted by Wisconsin the weekend of April 28-29. This was a much deserved success for the team after a season of hard work raising the level of our team racing skills. They will race June 3-5 in Austin. Finally, this last weekend, May 5-6 saw the Michigan women's team edge out the Minnesota Gophers for a one point victory at the MCSA women's qualifier. With their incredible first place finish, the women's team will advance to the ICSA/Sperry Top-Sider Women's National Championship May 30-June 2. Congratulations to all the team members who have raced this season on a stunning performance.